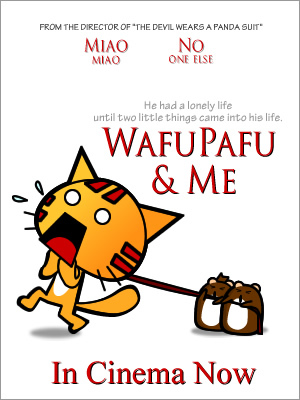 Miao & WafuPafu Comic Blog » Marley&Me Review: I miss my Pets! Yesterday was a boring Sunday, so I asked Jason out for a movie of Marley & Me. The movie is actually adapted from one of the best selling novel that is based on a True story of the novelist himself. Its about this crazy dog, Marley, his family, and the bonding between them. Very meaningful, touching and funny movie I must say. A highly recommended movie by me. Seriously, life will be different without them. 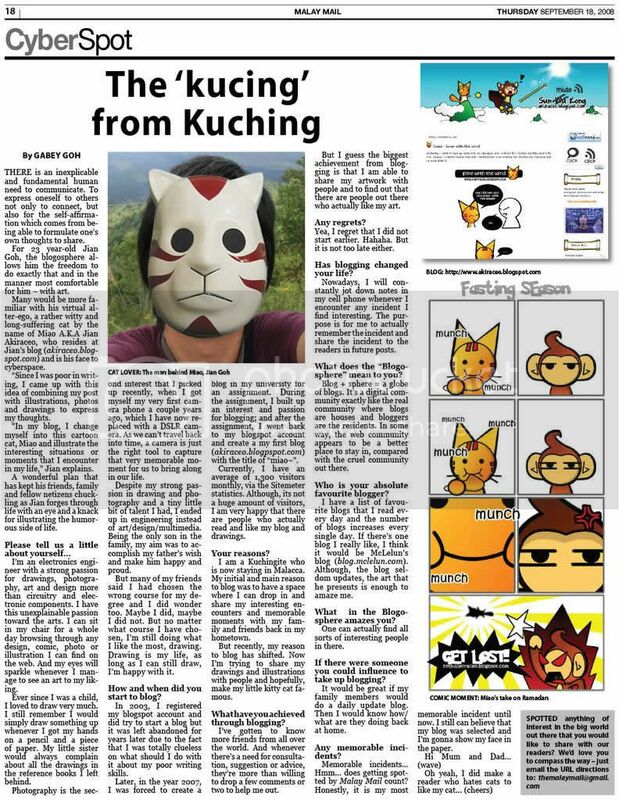 Posted on March 9, 2009 by Jian Akiraceo. This entry was posted in Cinema. Bookmark the permalink. I’m a hamster lover too!!! I can still remember my golden days when I had over 30 hamsters under my care. Breed them Miao! Go out and get WafuPafu some girlfriends! Then you’ll have an endless supply of WafuPafu juniors..
muahahaz.. LMAO.. I think i should go watch with my gf too..
since recommended by miao.. muahahaz.. well, this is pretty much a review liao la.. u did comment it “good” and also “touching”.. enough for me to know how good it is liao..
Hahahha.. you do treat them good i believe. Reply: sorry to hear that. gone as in got kidnap? or pass away? Ya, mini schnauzer are very hyper active 1.. 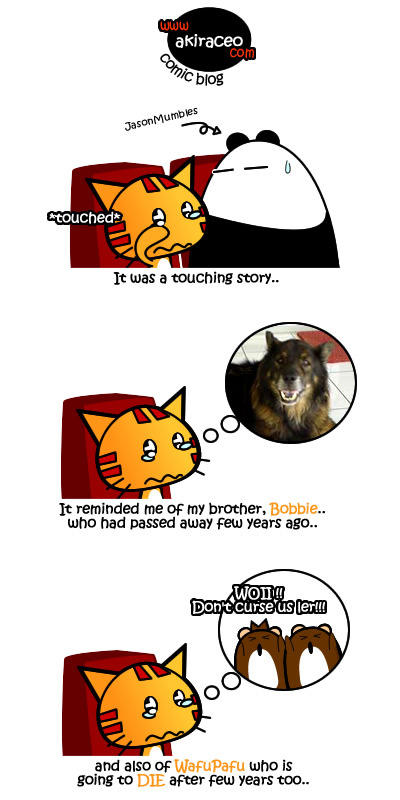 Reply: It does to me when it reminds me of my dog. OMG it has jennifer aniston !!!!! I must watch ! Reply: Hahaha hard to say.. just hope I don’t starve.. Reply: No choice.. eventually life ends..
i wanted to watch yesterday but it is all full left first row!!! Reply: Woahh so many people watch ar.. Reply: My friend said the book is better.. more detail.. more scenes.. Reply: Hahaha the same goes to people.. the less you love them.. the less sad we will be when they left us.. Reply:Woah that’s a lot of hamsters.. you’re a breeder?